The Turkish girl band Kim Ki O was already present on the Enfant Terrible compilation Radio Resistencia. Next to that they released two very limited cd-r’s by themselves and already toured in Scandinavia. ‘Dans’ is the official debut of Kim Ki O and features six lo-fi pop songs which at times are extremely catchy but never too easy or slick in anyway. At other times the music is more tranquil and becomes hypnotic dream pop that will soothe you, but hasn’t a single dull moment. Casiotone For The Painfully Alone like cheap and charming electronic rhythms and that special 4AD sort of quality throughout the songs. With this debut mini album the band launches themselves into the world of music. 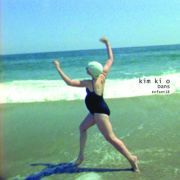 Kim Ki O is for sure a band to keep an eye on!